The bigotry and racism of these postcolonial neocolonialists may not lead them to conquer non-white folk, but it does cause them to think that there are still “sullen peoples” who are actually happier when subjected to all sorts of repression at the hands of their own “enlightened” or “visionary” despots. I wonder what the Venn diagram would look like if you join the Che worshippers, the people who think Mao’s revolution made women’s lives much better, and those believing on the superiority of communist women’s orgasms. 2017: Fifty years after he left being in charge of Cuba’s firing squads and heading to Bolivia, where he was killed while still wearing his Rolex, communist Che Guevara was honored in India and Cuba this week. Ireland issued a commemorative stamp. 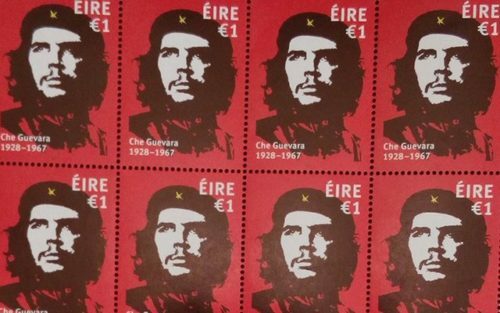 The design for the stamp was approved by the Dublin government back in 2015. Cuba held a ceremony on Friday to celebrate UNESCO’s despicable decision to include “The Life and Works of Ernesto Che Guevara” among 54 new additions to the Memory of the World Register, approved on June 18 by UNESCO Director-General Irina Bokova. 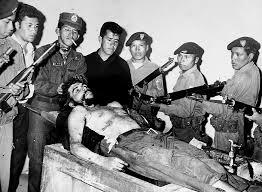 A row has broken out in Bolivia between the government and army veterans over the 50th anniversary of the death of the Cuban revolutionary, Ernesto “Che” Guevara. 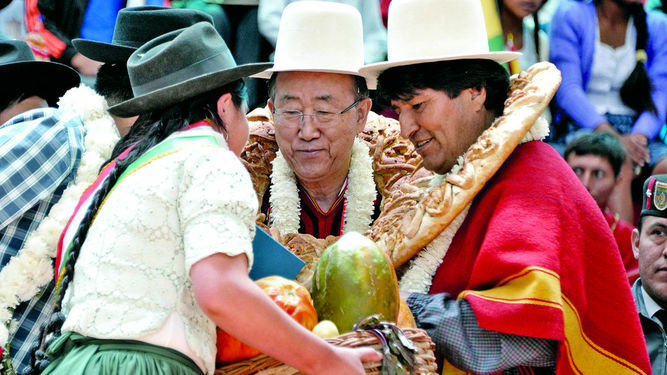 The Bolivian government is planning a series of commemorations next week in the presence of foreign guests. A spokesman for the army veterans who fought Che’s forces said they would not take part in the official ceremonies. They said they wanted to pay homage to the Bolivians who had died. Maybe Evo Morales should invite the West Point grad instead. You too, can now be a Certified Latin American Idiot! You can become a Certified Latin American Idiot: Not just any idiot, but an honest-to-goodness Idiot With A Certificate™. All you need is money to travel to Argentina, room, board, and presto! You are an Idiot With A Certificate™. And you are readily recognized as a communist agitator. The seminar will meet four times between April and July in Córdoba, at the Clínica Che Guevara, and in Buenos Aires, at the Anfiteatro Eva Perón, and will feature speakers from the Castro Kingdom and elsewhere. Those who attend the seminar will be awarded diplomas. The intended audience is described as “militantes de organizaciones populares y sociales” (militants from social and popular organizations). In other words: communist agitators. The seminar is open to the general public, nonetheless, and will charge no fees whatsoever. I checked and, indeed, Telesur and the other websites mentioned above did report it. One question,, though: ALBA used to be sponsored by Venezuelan oil, so who’s paying for the seminars? If this is, what about the Venezuelans who are dumpster-diving? Those of you who already are Perfect Latin American Idiots, here’s your chance to evolve into an Idiot With A Certificate™. Come for the runway, leave with the runs. Related: The Chanel show Carnival of Latin America and the Caribbean. The ‘Cuban Five’, who were jailed on espionage and conspiracy charges in the US in 2001, landed in Moscow’s Sheremetyevo airport, Sunday, ahead of Russia’s Victory Day celebrations on Monday, 71 years after the Red Army’s victory over Nazi Germany in 1945. The five former Cuban intelligence agents, Antonio Guerrero, Fernando Gonzalez, Ramon Labanino, Rene Gonzalez, Gerardo Hernandez, are due to take part in the Victory Day march alongside the Russian Communist Party following the parade. He then commended the Government of Bolivia and President Evo Morales for introducing International Mother Earth Day to the United Nations General Assembly in 2009. “Vivir bien”, living well, eludes Bolivia, with a GDP per capita of $4,843, 118th in the world. That “social and spiritual well-being” better go a long way, but it’s no coincidence that Communism uses a lot of old Catholic memes. Speaking of Communists, Ban Ki-moon arrived in Bolivia rallying the troops to Che Guevara’s old slogan, “Patria o muerte” (Motherland or death), to which the troops enthusiastically replied, “Venceremos” (we will win)! The UNSG committed to eradicating world poverty by 2030, which is barely 5 years after Evo finishes implementing his “13 pillars of action.” Maybe Ban Ki-moon ought to consider moving UN headquarters to La Paz or Sucre in order to stimulate the local economy. We now face a more potent Axis of Evil that includes two of the original three (North Korea and Iran, with Iraq up for grabs), plus Russia, China, Cuba, Venezuela, Bolivia and other countries, and terrorist groups including al Qaeda, Hezbollah, and the Islamic State. With the exception of their hatred of the West, there is no single ideology that unites them. The new Axis includes Sunni and Shi’ite radical Muslims, Communists and other radical leftists, and nationalistic secular tyrants like Vladimir Putin. They have certainly succeeded in wrecking hopes for a peaceful world. That’s what John Perdue wrote about a few years ago in The War of All the People: The Nexus of Latin American Radicalism and Middle Eastern Terrorism. I’ll take “poor choice of corporate icon” for $500, Alex! Because nothing says “state of the art fintech API ecosystem” like the image of the racist scumbag depraved mass murdering Communist founder of Cuba’s firing squads and labor camps. Not that Xignite is alone in their choice . . . Yes, that’s his Twitter icon: a full display of cluelessness replete with the “coexist” symbol necklace, carefully arranged hair, Commie-red background, and Che pose. Only a dove of peace is missing to complete the cliches. Mr. Brand is fond of having himself depicted as Guevara, a figure for whom he shares the daft enthusiasm of many members of his generation. He frets that Guevara was “a bit of a homophobe,” but insists that “we need only glance at Che to know that that is what a leader should look like,” i.e., a bit like Russell Brand. 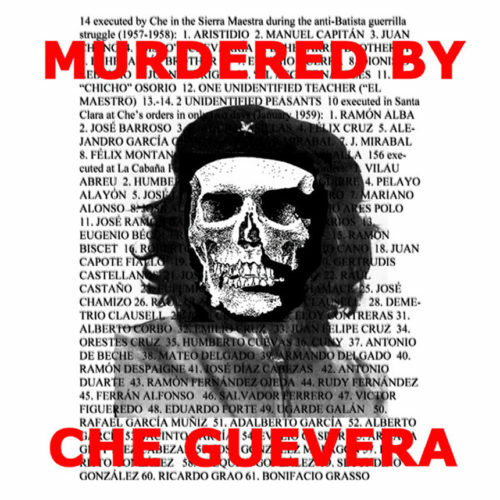 Guevara was a mass murderer who shot people for amusement. The cause in which he fought was the cause of gulags and murder. There are today, at this moment, thousands of political prisoners being tortured in prisons that Guevara helped to establish, and millions foundering in the totalitarian police state he helped to found off the coast of Florida. But . . . sure, great hair. Great hair only on photos; according to many who knew him, Che was not fond of shampooing, so Russell better not imitate the head lice. But I wonder if, like Che, Russell wears a Rolex?